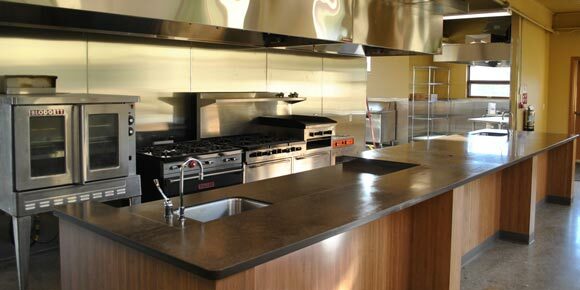 Find local commercial kitchen rentals! Founded by food entrepreneurs, CommercialKitchenForRent.com was launched back in 2005 with the goal of creating the largest database of commercial kitchens for rent. In short, we connect aspiring professional chefs with private kitchen owners. We understand the inherent challenges of getting a food business off the ground and we’re here to help. You can’t manufacture or prepare food for sale out of your home, but the high cost of building out a licensed commercial kitchen including tools, and equipment (on top of purchasing or leasing space) can easily put your dreams out of reach. On top of the expense, there are significant regulatory and licensing hurdles relating to commercial food preparation. Why not rent someone else’s kitchen to get started? Commercial kitchens for rent, commissary kitchen rentals, co-op kitchens, and contract packagers (copackers) could be your solution! If you’re a food entrepreneur / restauranteur that has already made the significant investment in a commercial kitchen facility and professional food preparation equipment, it can make a lot of sense to rent/share your kitchen with other food startups in order to generate additional revenue and recoup your commercial kitchen investment. It’s a win-win! Plus, have we mentioned it’s free to list your kitchen in our directory?